We love pets. Who wouldn’t? Singapore’s pet population is projected to hit 824,000 pets in 2016, according to statistics from Euromonitor International. The Federation Cynologique Internationale also reported that Singaporeans own over 62,000 dogs in 2017. With that in mind, how we clean up after our pets or even the treats we feed them, will have a sizable impact on the environment. 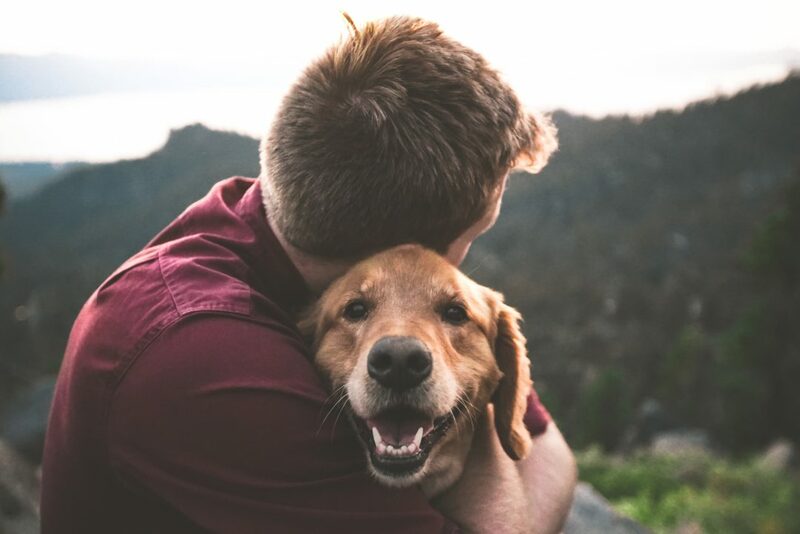 Many green practices that have become our good habits can also be applied to our pets as well, so why not take a step further by taking care of the environment while taking care of your pet? If you use wet wipes to clean your pet or to clean up a mess they made, it’s time to switch to an eco-friendly alternative! One method would be to simply use a reusable cloth, which can be washed after every use. You can use towels that are not used anymore, or even cut up old clothes. Not to mention, it can help you save a lot of money in the long-run! Another method would be to switch to more eco-friendly wet wipes, such as Cloversoft’s non-toxic wet wipes that are made from 100% unbleached bamboo pulp. Often, the waste that we create can be out of our control. Sometimes, it is because the items we buy are already pre-packaged, such as the vegetables found in supermarkets, which come in clear plastic bags. This plastic cannot be recycled and end up as waste in our bins. If waste like these is unavoidable, what we can do is to reuse them! You can use these items to pick up your pet’s poop. Alternatively, you can even use big leaves that you find, and simply slide them under your pet when he/she is about to poop! As long as you wrap it up nicely (so the smell doesn’t spread after throwing the poop), almost anything can be used! If you enjoy spoiling your pet with toys and treats, how about turning to eco-friendly alternatives? There are many pet accessories and toys that can be found online, and they are often made from recycled or plant-based materials. Alternatively, consider upcycling your old clothes and turn them into new toys! Check out this link for some inspirations! As for treats, consider giving them small portions of fresh fruits or vegetables, or even baking/cooking treats from scratch! These options are much healthier for your pet and they will still love eating them equally. However, please do proper research on exactly what your pet can/cannot eat. With a mission to “maximise the value of food resources and to offer healthy and delectable food products”, UglyFood was started out with the aim of preventing wastage of ugly food while providing nutritious food at affordable prices. Curious as to how and why they started out and what their future plans are? Read the full interview as answered by their team! What inspired you to start UglyFood? Pei Shan, the founder of UglyFood and a SUTD-SMU Double Degree Programme graduate, developed an interest in food four years ago when her grandmother was stricken with cancer. In hopes that fruits and vegetables would alleviate her grandmother’s health condition, she started reading about healthier food choices, such as fruit and vegetables and learned how to make different fruits and vegetable juices. Upon stumbling across a video on Facebook about global food wastage, she then gathered a team to look into the issue of unnecessary food wastage in Singapore. With her experience in making healthy foods and the awareness that food waste is avoidable and is present in Singapore, she decided to start a social enterprise, UglyFood. Can you tell us a few challenges you faced when launching UglyFood in Singapore? When we first started, we faced multiple challenges. One was the need to understand the food licenses required by the authorities for selling at Farmers’ Markets, retail stores and what not. Another was the sourcing for food that might otherwise go to waste. It took time and effort to reach out to partners and communicate what we do to them. Since the launch of the organisation, what is the general response from the public? We had good sales from the public during farmers’ markets at various locations. There are a few corporations and customers that purchased our signature cold-pressed juice series in bulk for their employees and family. Recently, we collaborated with another social enterprise, Bettr Barista, to have our products in their store! Can you share with us a few statistics on the impact of UglyFood since it has been launched? Since launch, Uglyfood has saved 7,384 fruits and vegetables. For those who are interested in getting involved with UglyFood, can you share 2 to 3 quick and easy steps to get started? If you are interested to purchase our products or engage our services for events, meetings or educational booths, do email us at hello@uglyfood.com.sg . If you are interested to collaborate on crazy ideas or volunteer with us, feel free to drop us a message on our facebook page or our website! What is the main goal for UglyFood and what actions will be taken to achieve that goal? The main goal for Uglyfood is to accelerate the minimization of the impact of food wastage on the rapidly deteriorating health of our planet and the reduction of food-related poor health outcomes. 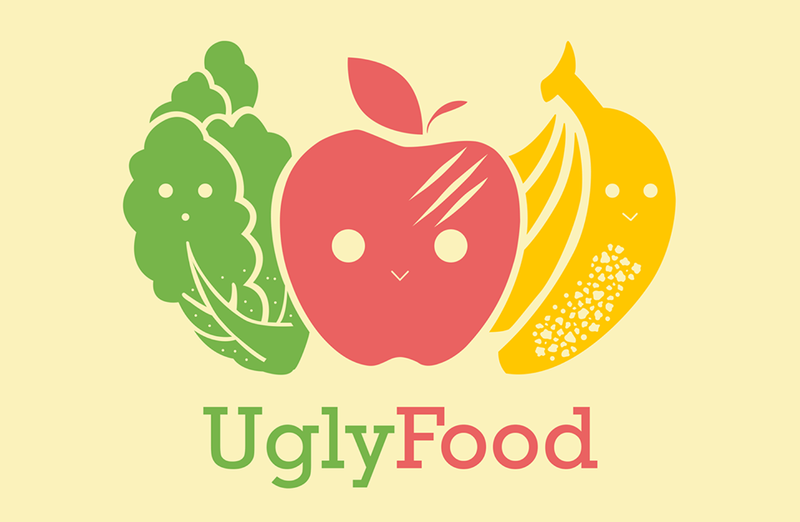 Uglyfood hopes to continue to improve our business model to increase our sales as well as expand our product line to cater to more markets and in so doing, reduce more food that would otherwise go to waste and provide more choices for people who wish to eat healthier foods! What are some of your future plans for the organisation? UglyFood intends to expand our product range and increase the number of flavours for existing products. We will seek opportunities to work with the special needs community to assist us in the manufacturing of our products. This is the season for Christmas shopping! Christmas is finally around the corner! But wait a minute. Have you ever wondered if your presents will be used by the recipient or stowed into the recesses of their home? This Christmas, why not choose something practical and useful, knowing it will be used for the long run? Give your loved one the gift of sustainability! If you’ve always wanted to incorporate zero-waste goods into the lives of others but don’t know how to, beeswax wraps are the perfect item to start! They are the ultimate zero-waste must have. Made of 4 ingredients – cotton cloth, beeswax, jojoba oil and tree resin – beeswax wraps are a perfect substitute for plastic cling wrap. Reusable for a year, it means you will not have to spend another day cursing that you forgot to buy cling wrap again. You can finally say goodbye to spending money on purchasing something which keeps running out and is damaging to the environment. Using Beeswax is a bit like going back in time to find out that our ancestors did it better than us. Beeswax wraps weres invented long ago by the ancient Egyptians. Back then, they had to be creative without our present luxury of refrigerators. Moving forward a few centuries later, we have all but forgotten this natural means of preserving food. Instead, we have begun a deep reliance on cling wrap, a synthetic material that brings more harms than good. Cling wrap is made from polyvinyl chloride (PVC). It is non-recyclable and non-renewable. The use of PVC creates multiple problems for our earth. Its production is not only carbon intensive but also pollutive. Furthermore, PVC’s non-biodegradable nature means that they will end up in our landfills after just one single use. On the other hand, beeswax wrap has a much shorter lifespan. Because the shorter the lifespan, the better it is for the environment! Not only is it both biodegradable and compostable, but it can also be used many times! Is it any different from cling wrap? Not at all! Just wrap your unfinished/untouched/ food and voila! It will keep it fresh. But do take note of, beeswax wraps cannot be used to wrap hot items and raw meat/fish/seafood. Do remember to take care of your beeswax and it will thank you by lasting longer! Clean it with a damp cloth after every use or just rinse it with cold water. Then, let it air dry and it can be reused hooray! We are not going to lie; the Stasher bag is amazing. It has so many uses, and we are always discovering new ways to use them. It is a simple silicone bag that is literally safe for anything – dishwasher, freezer, oven and even the microwave. You can reuse it endlessly, so it’s here for a long time. Stasher bag is suitable to freeze bananas for your morning smoothie, to use as a snack bag, store fruit (pretty perfect for sliced watermelon) etc. You can even use it for your toiletries when travelling. It is perfect for the tired you lugging around multiple bags of leakable products. As it is equipped with a Pinch-loc™ seal, it will not leak. Not convinced? Check out this article which lists all the uses of a stasher bag! But you get the jazz, there’s no way this bag is going to be forgotten in a cupboard. Because once you stash(er) it, you can’t go back! Also, washing the Stasher bag is easy. Simply fill the bag a 1/4th of the way with warm water and soap and giving shake it or using a brush can help too! Sometimes, it’s easy to forget that our continuous toothbrush consumption actually harms Mother Earth. For most of us, we use plastic and non-recyclable toothbrushes. Little did you realize that all of your plastic toothbrushes are going to live a longer life than your whole family. Kind of sad right? But you can do a little something for the future generations and for Mama Nature, by replacing your plastic toothbrush with a bamboo toothbrush. Bamboo is a miracle product, it is so handy that they have even made a school out of it in Bali. Not cool enough? PANDAS eat bamboo, and if pandas are eating it then bamboo is life. (But please be reassured that the bamboo harvested for our toothbrush does not affect the pandas in any way!) Oh, and did we mention bamboo absorbs large amounts of carbon too? You will definitely be making a substantial switch in your life. After your bristles have been worn out, do remember to pluck them out and compost the bamboo handle. A worldwide war has been declared against an item that no one considered about its harm previously. Plastic. An evident movement has been taking place both locally and internationally with bans against it. In our little red dots, numerous cafés have stopped serving with straws and other F&Bs have put a ban on them. Hence, sparking a new revolution – Reusable straws. 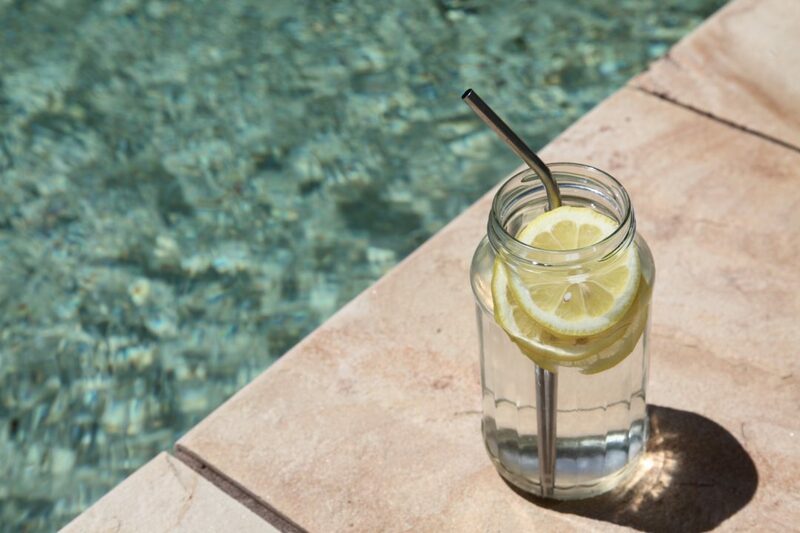 The term reusable straw is no longer a stranger to us. They come in many forms and materials – bamboo, stainless steel, glass and silicon. It is also evident that due to the demand of these straws, the number of organisations selling reusable straw in Singapore has been growing exponentially over the past few months. With a price range from as low as $1 to as high as $13, your quest for a straw can be easily fulfilled. But hold that thought! Do you really need that straw? Is it a want or a need? Which straw should you get? Just before you purchase it, here are some things to take into consideration before buying your first one! Is it a need or a want? Think twice before purchasing. The claim on whether the purchase of a reusable straw is a hype may or may not be true. Hence, the best action to do as a consumer is to evaluate the reason for purchasing the straw and to educate yourself on why you need a straw. Straws are usually used by various groups such as those with sensitive teeth, children, the disabled or those who do not wish to stain their teeth by liquids such as coffee or tea. Most of the time, using a straw is not necessary unless you are drinking thicker liquids (etc milkshake, fruit juice) or drinks with toppings in them (etc bubble tea, fruit tea). It is an investment. You are making a commitment. Once you have gotten the straw, you need to be aware that it is a lifelong commitment that you have taken. Take a straw as a pet. You need to take care of it, maintain it, bring it out and clean it for many years, most likely even a lifetime. The worse thing to do it probably to abandon it after a few months or years. The production of a reusable straw requires more resources as compared to a plastic straw. Hence, it will be contradictory if you purchase one and do not commit to using it as the number of resources extracted to produce that reusable straw might actually cause more harm than using a plastic straw. So, if you do not foresee yourself putting in that amount of effort, then maybe you would like to put that reusable straw down. Educate yourself! Know the variation available in the market and their features. So which straw should you get? With the large variety available in the market, it is difficult to make a decision sometimes. Each straw has their pros and cons and we shall explain them based on our understanding! These are the 100% natural option which is biodegradable and compostable. They are kid friendly as well! But do take note that in order to clean them, you need to boil them with vinegar water on a monthly basis. Sometimes, due to Singapore’s humidity, these straws are prone to growing mould easily. Hence, do make sure you keep them dry after washing! Maintenance and hygiene are not much of an issue for these straws. When you are washing them, you can see the interior of the straws which help you to identify any dirt or remnants. Borosilicate glass is also known for being lightweight and can withstand hot and cold temperatures. However, taking into consideration that it is glass, there is still the possibility of them breaking if you are ever careless! These straws do not have any issue in terms of hygiene or durability. For cleaning, you just have to wash them with a cleaning brush. In terms of durability, they are not expected to break. As a consumer, do note on the quality of the stainless steel that you are purchasing. One of the most common stainless steel grade is 304 or otherwise known as 18/8 (which contains 18 percent chromium and 8 percent nickel). 304 can withstand corrosion from most oxidizing acids and its durability makes it easy to sanitize. It is commonly used kitchen and food applications; in buildings, décor, and site furnishings. You got your straw! Now, onto the next step. Your sustainable lifestyle does not just stop at straws but instead starts from it. 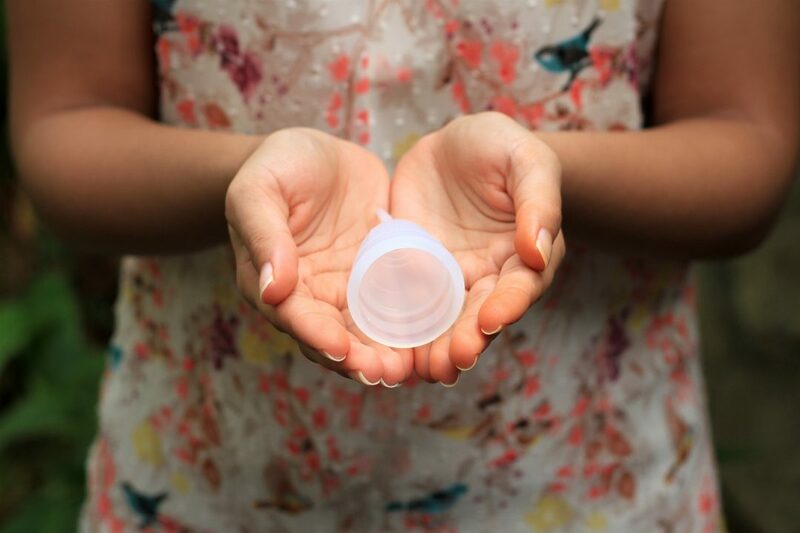 Now that you have replaced the small plastic item in your life, look at other areas that you can make simple changes. For example, making the effort to bring your bottle in addition to bringing your straw. A simple action does help a lot one way or another! The ‘V’ word – a word so sensitive or controversial. A lifestyle that was previously labelled extreme, entirely alien, preachy and associated with hippies, is now being viewed with a more positive lens and becoming more commonplace in society. Yes, you guessed it right, this ‘V’ word stands for Vegan. In the last 3 years, there has been a 600% increase in the number of people who identify as a vegan in the U.S and in the UK, this figure was at 350%. For this little red dot, Veganism is growing as well. Singapore currently ranks 6th on the Happy Cow app for the most vegan-friendly cities in the world, with 40 fully vegan restaurants and 590 vegan/ vegetarian-friendly places! So, what does being vegan actually mean? There is a difference between a vegan lifestyle and a vegan diet. A vegan diet is a plant-based diet, one which excludes the consumption of any animal product and byproduct. This includes meat, eggs, dairy products and honey. 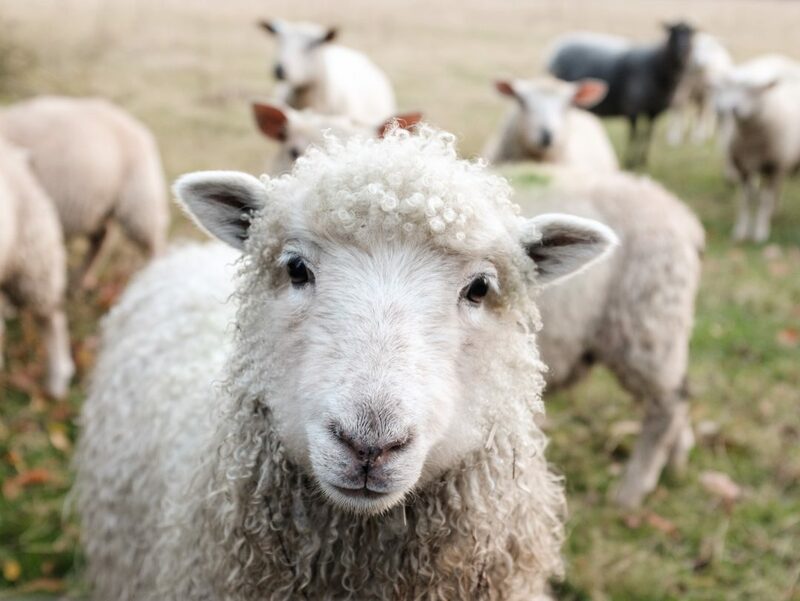 On the other hand, a vegan lifestyle is all-encompassing and includes living compassionately not just through one’s diet, but also by not supporting animal cruelty in the purchase of any product. By now, many questions will probably have popped up in your mind: What can you even eat? Where do you get your protein? Isn’t it expensive? Isn’t hard to become vegan? Well, here are some of the most commonly asked questions being answered by our writer, Jasmine Hussain! As a vegan, there is an abundance of food that you can eat! This is a huge common misconception that people have about the vegan diet. Once they hear the words ‘no meat’, a blank appears in their heads and they are presented with the toughest challenge of having to think of what other than a salad can vegans eat. Rice, potatoes, pasta, beans, nuts, fruits, vegetables, legumes, pulses – the supermarket is your oyster! (perhaps inappropriate for a vegan). Going vegan does not mean having to give up all your favourite foods. Think of any dish and you can probably find a vegan recipe for it online. You’ll even find new favourite foods when you go vegan! Your options are limitless when it comes to vegan food and if you do live in Singapore, it’s basically vegan paradise. Contrary to popular belief, being protein deficient is really only seen in people who are malnutrition or people who are suffering from a calorie deficit. All plant foods have protein and there is no need to go out of your way to find ‘sources’ of protein. When it comes to greens, spinach, broccoli, kale and even peas are great sources of protein. Nuts, seeds, legumes e.g. chickpeas, lentils, beans, tofu, tempeh and even oats are excellent sources of protein. 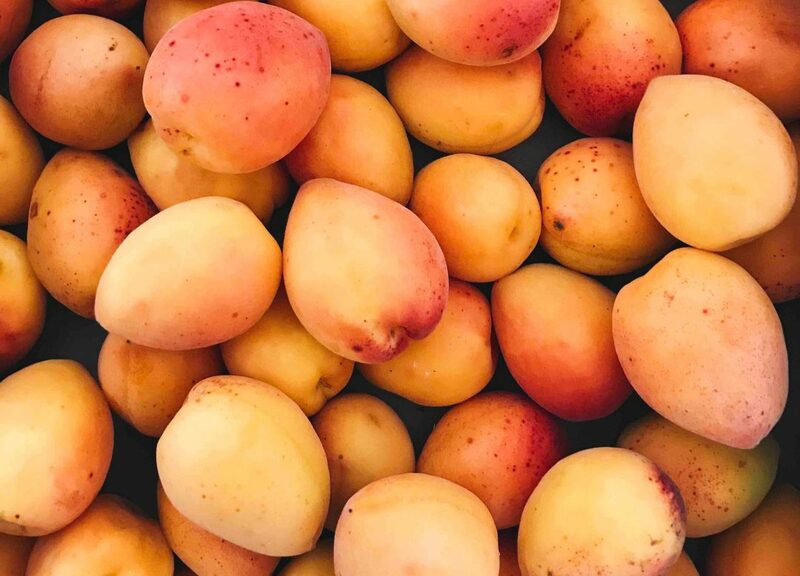 Even fruits have protein! I can go on for ages, but I’m just making the point that you will never miss out on protein when you go vegan. No, it is not. Do not be fooled by all the superfoods out there, which many restaurants, cafes and YouTubers use in preparing their vegan meals. There is no need for you to buy quinoa, chia seeds, coconut oil, cold-pressed juices or acai powder. In fact, being vegan is often much cheaper than adopting an omnivore’s diet because a plant-based diet consisting mostly of fruits, vegetables and grains cost less than one that incorporates meat. You can lead an equally healthy vegan diet and get in all your daily nutritional requirements without all these expensive superfoods. Meat substitutes and dairy-free products such as nut milks and yoghurts, and soy-based cheese are more expensive than your regular meat and dairy products, however, these are not necessary items for one’s pantry. These are the products often used in restaurants and cafes trying to appeal to the consumer market with their unique and creative vegan dishes, which explains why vegan restaurants or cafes are often more expensive. On a more positive note, prices for these products are in fact falling due to the rising demand for vegan products and the fact that more people are adopting a vegan diet. Hooray! For me, not at all. I don’t miss meat, not one bit. This was because I felt too strongly about my values and beliefs and couldn’t possibly bear the idea of having to eat meat ever again knowing how harmful it was to the environment and to the animals. When eating out, I will always search for the menu online and check if there are any vegan options available. When there aren’t any obvious options, I will then look for options that I can make vegan. For example, when going to a pizza place, just ask for a pizza without cheese and a whole bunch of vegetables on it (mushrooms, pineapple, spinach, peppers etc., these are all ingredients that the pizzeria already has), of course first making sure that the base has no dairy, which is usually the case. Small changes like this could easily make many non-vegan dishes vegan and if you are not sure about it, simply call the restaurant in advance and ask if there is something they can do. More often that not, they will be more than willing to help. In the rare case that there is absolutely nothing for you to eat, don’t ever feel shy about bringing your own food to the restaurant after letting them know your reasons why (this has never happened in my experience), or simply ask your friend or family to change the location of the restaurant. Isn’t it hard to become vegan? It has been just short of three years of my journey as a vegan and it has been a truly exciting and inspiring one. I have become the most compassionate version of myself, my skin has never been so clear (cutting out dairy really helps) and food has just become so much more exciting because vegan cuisine is remarkably experimental and creative and you can honestly find a vegan version of every food item on the market – well in my experience at least. However, I must say that my transition into veganism has been a rather smooth sailing because I had the advantage of moving away from home to an amazing city that is incredibly vegan friendly and to an environment where I had the privilege of cooking for myself and therefore not trouble my family to make adjustments for my diet. At the same time, I am blessed with an amazing, supportive family that is proud of me for making this change and has never made me feel like I was being difficult for going vegan. They did question my decision initially, but only out of concern that I would not be able to get all the nutrients required to lead a healthy and balanced lifestyle. However, after doing research, I was able to confidently present my case of how I would be able to nourish myself well and even become healthier than I was before. Today, my family actually enjoys making vegan dishes for me at home and we enjoy exploring the countless number of vegan restaurants and cafes in Singapore. As you can see, being vegan is not so bad after all! For those who want to try it out, the change does not have to be drastic, it could simply be in the form of meatless Mondays or simply swapping the dairy milk for a nut milk like soy milk in your oatmeals or cereals. There is so much inspiration online – YouTube, Pinterest or just Google for easy tips on how small changes could veganise your regular meals. Help make the world a better place by eating lower down on the food chain, after all, being vegan is the single biggest thing one can do to combat climate change. To finish off, I must highlight that being vegan is not the only dietary change you can make to combat climate change. Eating lower down on the food chain does make an impact and this could simply be in the form of meat-free Mondays, or eating red meat only once a week. It is not feasible for everyone to become vegan, in fact, it is impossible. But if everyone played a part in making small dietary changes, this would without a doubt accumulate to a significant positive impact on our environment. Started out by Jiacai, Nicholas, and Tylor, Treedots was formed with the mission of minimising food waste. This is achieved through a self-sustaining ecosystem by aggregating F&B businesses on different points of the value chain. Hence, ensuring that there is no longer a need to dispose of perfectly edible food. Plus, did you know they are Asia first online outlet mall for food? Curious as to how and why they started out and what their future plans are? Read the full interview as answered by Treedot’s COO, Nicholas! TSP: What inspired you to start TreeDots? N: All three founders in TreeDots have different reasons that pushed us to drop all our current jobs to begin TreeDots. Personally, for me, I would say my main inspiration came from my trip to Europe where I noticed that there was always this corner in their local supermarts where food products are deeply discounted – we are talking about 50 pence a quarter leg kind of cheap here! After probing around a little more, I then noticed that these food products were all due to be thrown away in a matter of days and hence were discounted to clear them out before they finally become inedible. That really ignited the idea in my head, especially after I found out that the industry norm in Singapore is that 6 months before expiry is considered expired. TSP: Can you tell us a few challenges you faced when launching TreeDots Singapore? N: I would say the toughest part at the start was getting people, especially the sellers, to realise that this is an issue. The F&B industry in Singapore/Asia is extremely traditional and comfortable in whatever they have been doing. Getting them to put aside resources to allocate such undesirables provides little additional value to their company. Thinking of a way to align their business needs with our social mission was thence vital to get this movement going, and the amount of resistance faced while doing so was incredible – one of our founders got spat on while pitching the idea, some called the cops on us for trespassing, etc. Buyers were unsure too and we had to constantly assure them, or think of new marketing strategies to further spread awareness that TreeDots products are perfectly good products too! Of course, once that was out of the way, logistics then became our greatest concern. Breaking bulks into more consumable sizes means inventory, having specific delivery timings means proper scheduling…the entire operations plan was a nightmare and nothing could really be fixed at the start since we were all new to the F&B scene. It was only after when we truly understood the industry then we managed to set some standard operating procedures in place. TSP: Since the launch of the organisation, what is the general response from the public? N: I would say responses from the public had been pretty mixed thus far, we have gotten people who are totally against the entire idea and think that blemished products are inedible but we have also gotten people who are fully supportive of it and shop with us on a consistent basis. I would say, it will definitely take awhile and loads of educating before there would be widespread acceptance of TreeDots products. We do see huge support from all the various green communities in Singapore, trying hard together with us to promote the zero waste culture. A lot of work still needs to be done before we reach there! TSP: Can you share with us a few statistics on the impact of TreeDots since it has been launched? N: After just a short few months in operations, TreeDots had successfully saved more than a tonne of food products from going to the bin! We have also gotten more than 150 companies onboard to further our initiatives. TSP: For those who are interested in getting involved with TreeDots, can you share 2 to 3 quick and easy steps to get started? N: For businesses, simply drop an email to hello@thetreedots.com indicating if you would like to be a seller or buyer or both and we will get in touch with you! As for all the other people out there, start by adopting a veggie box with us, it will be a little bundle of surprise at a very affordable price. Simply head over to https://www.thetreedots.com/ to start shopping with us! We also accept any voluntary help with us! TSP: What is the main goal for TreeDots and what actions will be taken to achieve that goal? N: Our short-term goal is really to reduce as much food waste as possible on a national scale, in order to do that we have to improve some algorithms on our end regarding product-matching so we are able to match our buyers and sellers to ensure a higher success in sales. Long-term goal would definitely be to touch on every other waste out there and think of more ways to upcycle everything, this requires collaborations with other companies and more expansion! TSP: What are some of your future plans for the organisation? N: We will be involved in more talks and events to further spread our mission and get people to buy such under-appreciated products. Of course, there are a lot of talks regarding potential collaborations ongoing at the moment, and one of them will be coming out soon! Do follow our Instagram or Facebook page @thetreedots to stay updated on all our happenings! Are these phrases familiar to you? Well, growing up, we were taught that the best indicator of quality while picking our fruits and vegetables is their external appearance. Our mothers told us to avoid apples that had a dent in them, our fathers told us to stay far away from oddly-shaped carrots and our grandparents told us to throw out spotted mangoes. But what we weren’t told was that these blemishes are purely on the surface. Ugly food meant just that – ugly on the outside, but perfectly edible, nutritious and tasty on the inside. As a result, this habit we picked up has developed into a bias that that has become second nature when it comes to grocery shopping and consuming food. We shy away from bruised produce at the supermarket and are quick to toss out any vegetable that looks less fresh. In a survey conducted among 243 Singaporeans aged 20 to 59 by the Food Unfiltered campaign, it was found that 68.1% of respondents were unwilling to purchase ugly food and 40.7% of respondents were unable to look past slight external flaws and consume ugly food. A greater cause for concern? It was found that even though 93.7% of respondents indicated they were environmentally conscious, almost two in five of them indicated they would continue to refuse ugly food — even after learning that doing so would help to reduce food waste. Unfortunately, this prejudice we hold has contributed greatly to the issue of cosmetic filtering — the discarding of food that does not meet perceived or market standards. It not only occurs on the consumer level but has also has led retailers and suppliers to reject them from their stores. Ugly food is deemed as unfit for sale, so both retailers and suppliers much rather throw them out than waste resources to transport and store them appropriately. With this understanding, it is no surprise that 46% of all food produced globally does not make it from farm to fork due to imperfect appearances. We hold misconceptions about ugly food — that they’re less fresh, less nutritious, less tasty and even pose health risks. But this is what we assume of them, solely due to their imperfect appearances. If we open up to ugly good, we can discover the inner good. Ugly food is simply any food that is perfectly edible but appears unappealing because they are odd-shaped, discoloured or slightly blemished. They are subjected to cosmetic filtering at every point of the supply chain and even worse, improper handling by consumer (yes, people like me and you!) is a common occurrence that renders the food unfit for sale. Ugly food might be off-putting at first glance but if you pick them up and cut them open, you’ll discover that they’re no different on the inside from their perfect-looking counterparts. You’ll find that they are equally tasty and just as fresh as perfect-looking food. Don’t believe us? Check out our mini-series, Ugly Food: Fact Checked, to hear a nutritionist debunk myths about ugly food. At the core, we eat to get the nutrients we need to maintain our health and feel good, and ugly food does that just as well! Surface blemishes can easily be removed by slicing off a bruised portion or removing discoloured skin. If we are using ugly food in meal preparation, skinning and slicing are common practices. Spotted fruits such as bananas can be used in baking and juicing instead — the spots actually indicate higher sugar content, which means you can replace the use of artificial sweeteners with some natural sugars. The bruised portion of vegetables can be cut off and the rest of the it puréed into soups. At the end of the day, we only see what’s on our plate and not the raw ingredient. Challenge yourself to transform ugly food into something that’s beautiful when presented on the plate. Food Unfiltered is an initiative that celebrates ugly food. 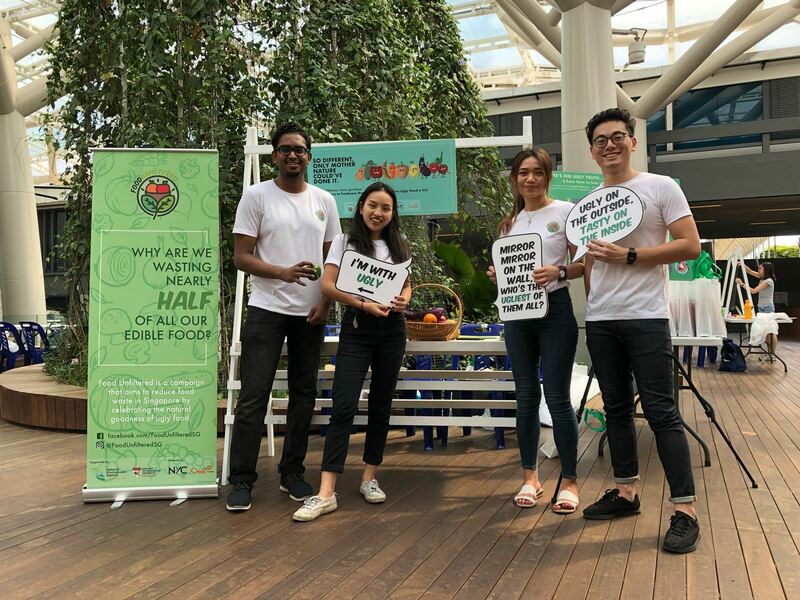 Led by four final-year students from NTU’s Wee Kim Wee School of Communication and Information, it strives to reduce food waste by embracing the natural goodness of food, regardless of their external appearances. For more information, please visit their Facebook Page and Instagram! But first, coffee – this is the motto for all the coffee lovers around the world and we definitely do love our coffee fix! In Singapore, you can find your daily supply of coffee from a range of places – our local coffee shop, cafes, Starbucks and many others. But how easy is it to find a coffee roaster that serves coffee with a conscience? Well, look no further, as this is where Foreword Coffee comes in! Founded in August 2017 at 8 College Ave East, Foreword Coffee is a coffee roaster that envisions a world unprejudiced to the differences between people. It concentrates on finding a sustainable solution to empower persons with special needs and also to be an advocate for the community. Hence, allowing the social stigma which the society holds towards the persons with disabilities (PWD) community to be broken. In addition, Foreword Coffee aspire to be a “good” and “sustainable” company from cherry to the cup. So, if you have yet been to their shop, here are a few reasons why you should check them out! How rare is it to find a coffee roaster that is plastic free? 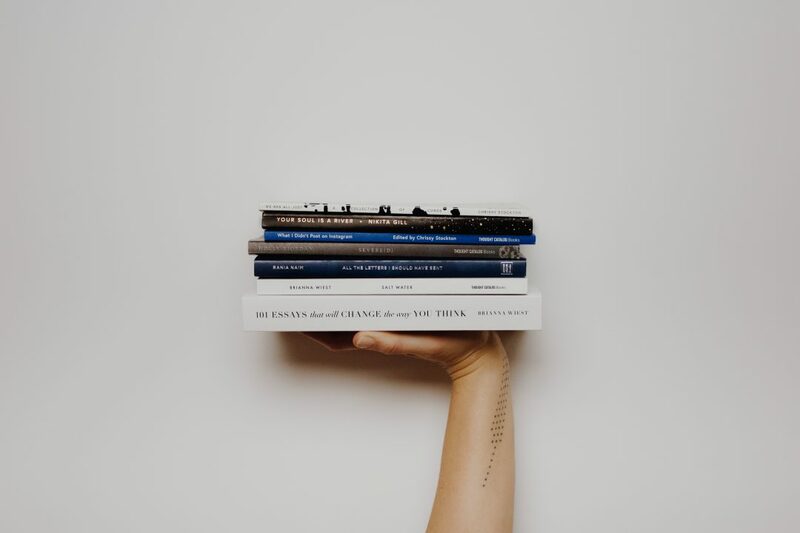 Besides that, Foreword Coffee educates and encourages their customers to adopt a more sustainable coffee drinking culture by bringing their own cups. Foreword Coffee is part of the BYO Singapore initiative which encourages their customers to bring their own cups for their takeaways by offering a 10% discount. Did we forget to mention that their used coffee grounds are turned into compost? 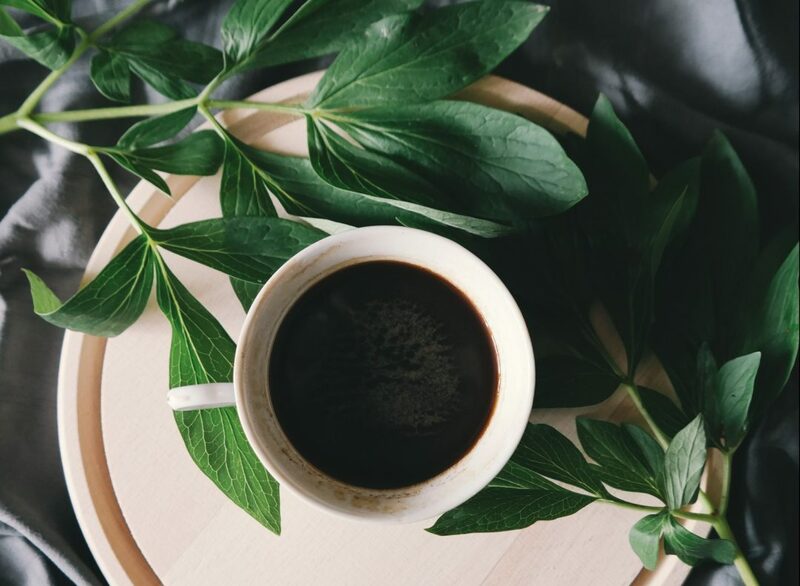 Hence, Foreword Coffee regards the environment of great importance and aims to strive for a more sustainable coffee consumption culture here in Singapore. When you order your coffee from Foreword Coffee, you might notice something special about their employees. Foreword Coffee currently employs a barista who is deaf and is also training an autistic youth to be a barista. What is the reasoning behind this decision? Well, Foreword Coffee believes strongly in empowering people with disabilities. This is evident through the design in their workplace in which they create a workflow to suit their abilities and encourage interaction between the general public and the disability community. Moving forward, Foreword Coffee is looking to expand their social impact by training and hiring more persons with disabilities and eventually convincing more cafes to hire them as well. You might be thinking, green coffee = sustainable coffee? We made that silly mistake too! Instead, green coffee refers to raw coffee. Foreword Coffee imports green coffee directly from producers or cooperatives that work with the farmers directly as compared to other businesses which might buy from coffee importers (the middleman between producers and coffee roasters). Through the direct purchase of raw coffee beans, more money is transferred to the farmers which ultimately helps to improve the lives of the farmers in Asia. The focus on Asian speciality coffee that Foreword Coffee offers is something different from other cafes in Singapore, which usually bring in American and African coffees. Foreword Coffee believes in the potential of our Asian counterpart and currently serve Yunnan (China) and Xam Nuea (Laos) coffee. With that, check out Foreword Coffee’s Instagram and Facebook page and do drop them a visit in NUS!